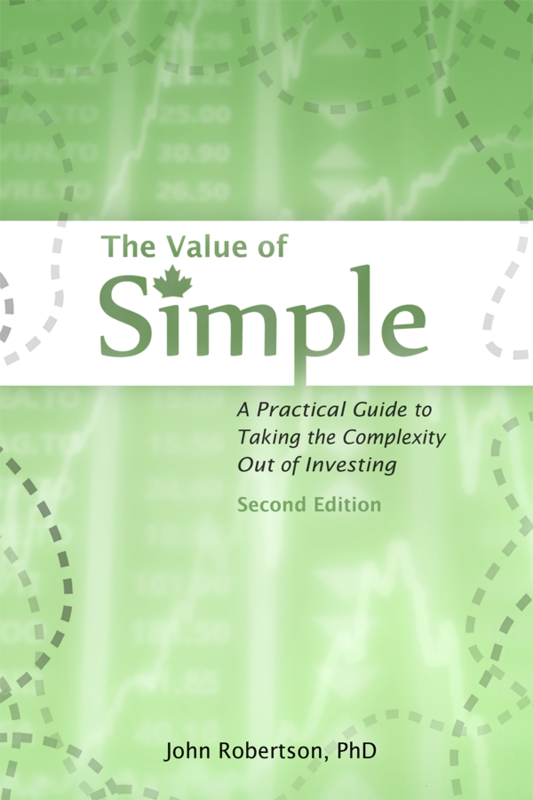 The Value of Simple is available directly from the author or from a number of retailers. The electronic edition is currently available from Amazon (for Kindle), and from Kobo or Google Play (for Kobo, Sony, and other e-readers). The print edition is available online at Chapters/Indigo or Amazon. Print and electronic bundle — get both for just a few dollars more: you can pass along your paperback to friends and family while holding on to an electronic version for yourself if you need to refer back to it in the future. Bulk orders are available for the Value of Simple are available. Any quantity can be ordered, however a carton comes from the printer with 36 books, so the greatest discount is on multiples of 36. Please contact me for pricing. Advice-only advisors and planners who want to provide their clients with a guide to implementing their investment portion on their own. Advisors who want to help their clients educate their children on investing. Companies seeking to educate their employees on investing. Dentists, physicians, and others with a waiting room who want their patients or customers to be able to pull a book from a box and take it home with them rather than page through a years-old magazine. Signed copies: I’m always happy to sign copies of the book, and generally do sign individual orders that come through directly through the site. For bulk orders, that’s more challenging: it will involve shipping the carton to me first, then unpacking and signing the books, and re-shipping it to you. The cost will vary, but estimate approx. $4-5/copy in additional shipping and handling for signing bulk orders. If you have any questions or want to arrange a bulk or educational deal please contact me at invest@therobertsons.net.